Directors Cut | BMW - "Ginsberg Poem"
VOICE OF: NARRATOR "AUDI - MASTERPIECE"
ESPN FEATURE: "The Legend of Conor McGregor"
Voice of: "Mentally Ill Older Man"
Premise of Film: This film depicts the struggle within someone dealing with extreme mental illness the images; are visuals of what the internal turmoil may be like for someone with these ailments. As an actor, presenter and voice artist: Robert’s vocal is engaging (with a chameleon like mellifluous range) adaptable for all applications within the Entertainment industry. Robert has voiced projects from all over the world, and continues to work on high profile brands, web based promotion, global organizations, networks, world movies; television, cartoons, radio commercials, animations, corporates, documentaries and personal videographer projects. Most recently Robert has been the Narrator/Co Producer for the successful 2017 & 2018 Podcast: "UP and VANISHED", winner of “BEST CRIME PODCAST” 2019 by iHEART RADIO. 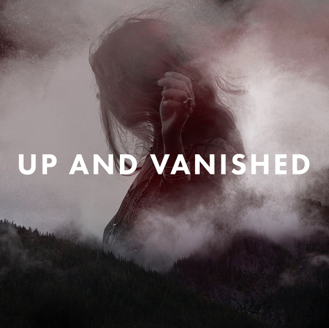 Visit www.upandvanished.com or download the podcast on itunes. Robert focus' on communicating a clear message both on camera and through a microphone, bringing life to words and various scenes. This has helped him succeed as both a radio programmer, audiovisual editor/technician and on camera talent. His multifaceted experience in media provides clients with a unique skill set and perspective for their various projects; adding depth to an already well-rounded experience. Robert has forged a reputation as being one of the top voice talents in the world. The “voice” of large conferences, global events, a myriad of the largest brands and initiatives around the world. You have heard his voice on such avenues as: ESPN, CNN, Discovery Channel, History Channel, FOX in several different countries.